Stay at Koh Similan Island number 4, sleep in a tent or bungalow, This must be pre-booked in advance of your Tour. 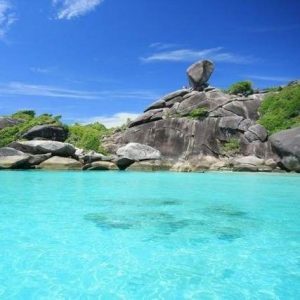 Typically overnight stays in the Similans whether in tents or bungalows are made through the Koh Similan National Park operated by the Thai Government. You join a Day trip Snorkelling Tour and in the morning explore the best snorkel sites in the marine park, have buffet lunch, then in the afternoon you will snorkels then stay on the island in your pre-booked accommodation. The next morning you do your own thing on the island, go snorkeling, walk and explore the island, or go scuba diving this can be pre arranged there, then when its time and you are ready to leave the island, you then join a returning speedboat tour at the end of the day for your transfer back to the mainland. The cheapest way is to stay on Island in tents supplied by the Similan National Park You will need to provide your own blanket or sleeping bag, food is available at restaurant at the campground, as well as very basic showers and bathrooms. Each tent can sleep a maximum of 3 Adults , (2’s Company 3’s a Crowd). There are 20 or so simple and clean but very basic bungalows operated by the Thai Government available for rent all located on Island #4. They feature air-conditioning and attached bathrooms, some have view of Princess bay. If you want a place to stay on the Islands, this is it! Reservations and payment must be paid well in advance of you tour date. 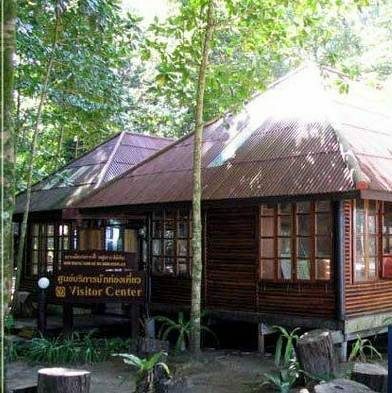 Please note – the National Parks of Thailand say’s that “Bungalows may be booked for only 3 nights at a time”. If you wish to stay longer, you may have to move bungalows. Now if you have tried to book online and still have had no joy we can do this for you, pay us direct online via credit card or paypal. If there’s no availability – we do not take payment! however if we do the booking there’s a one of payment for this service.